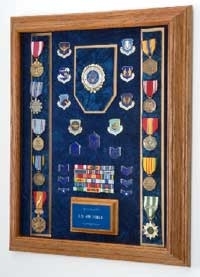 The Air Force Award and Medal Display case is 16”W x 20”H Award Shadow Box is one of our most versatile awards display cases for long serving veterans and career service men and women, It is the perfect case in which to display the decorations and awards earned through many years of dedication to the mission of protecting our nation and devotion to honor and duty. 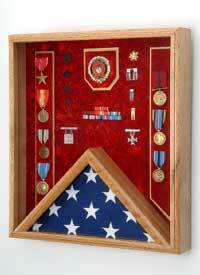 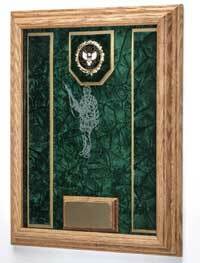 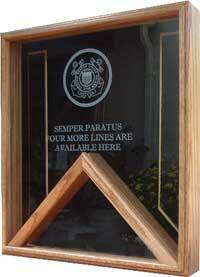 Personalize your Air Force award shadow box inside with a laser engraved metal plate. 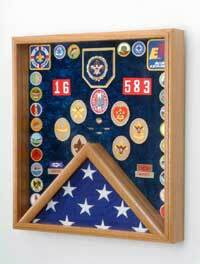 Choose the plate with Rank, Name, Service Dates, etc. 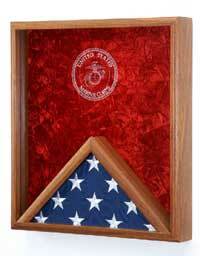 You may also choose our laser engraving on the glass front with a unit logo, map, or other image to commemorate and honor the service of the person for whom the case is intended. 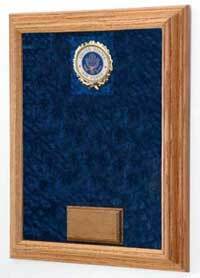 When completed, your display case will be totally unique.